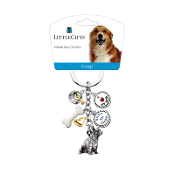 These metal key chains are truly a unique gift for the avid pet lover or pet parent. 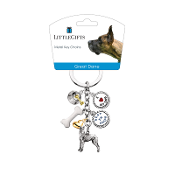 Key chain includes 6 miniature charms, the "I Love My Dog" and "Best In Show" coins, a white enameled bone, a gold toned heart, a dog bowl with a gold toned bone... 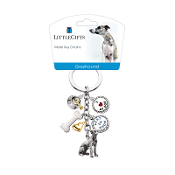 These metal key chains are truly a unique gift for the avid pet lover or pet parent. 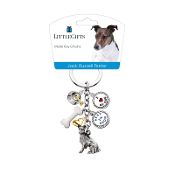 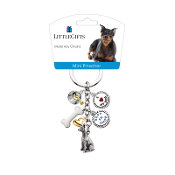 Key chain includes 6 miniature charms, the "I Love My Dog" and "Best In Show" coins, a white enameled bone, a gold toned heart, a dog bowl with a gold toned bone and your choice of dog breed or generic charm.